Constructed of extra thick pre-curved premium grade genuine cow hide leather outer shell with extra thick 7-layer cloth-fibre webbing and high-density latex foam inner-core system for ultimate shock absorption and minimum stress. 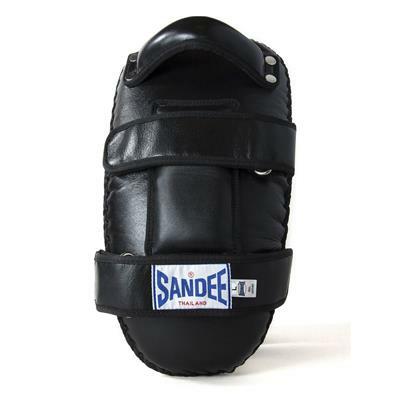 Double stainless steel buckled hook & loop full Velcro straps closure system with extra thick handle for a secure tight fit for each individual. Double stitching and double stainless steel rivets in all stress area’s for ultimate longevity. Contoured back area to fit naturally to the trainers arm with extra padding along the back for additional comfort during extended use. 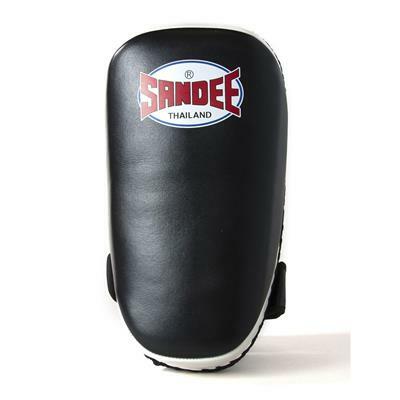 Built to withstand the daily punishment of training in Bangkok’s top gyms. 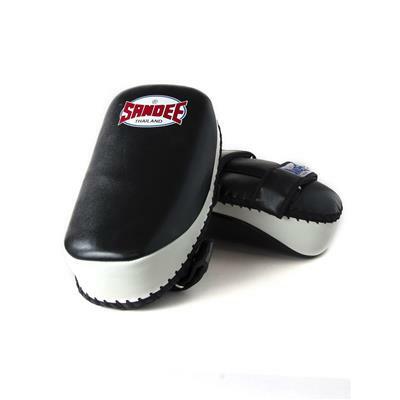 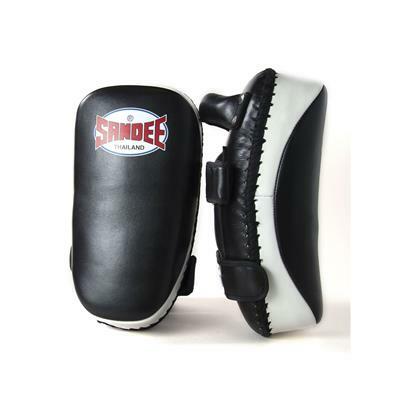 The ultimate large sized curved Muay Thai kick pad. 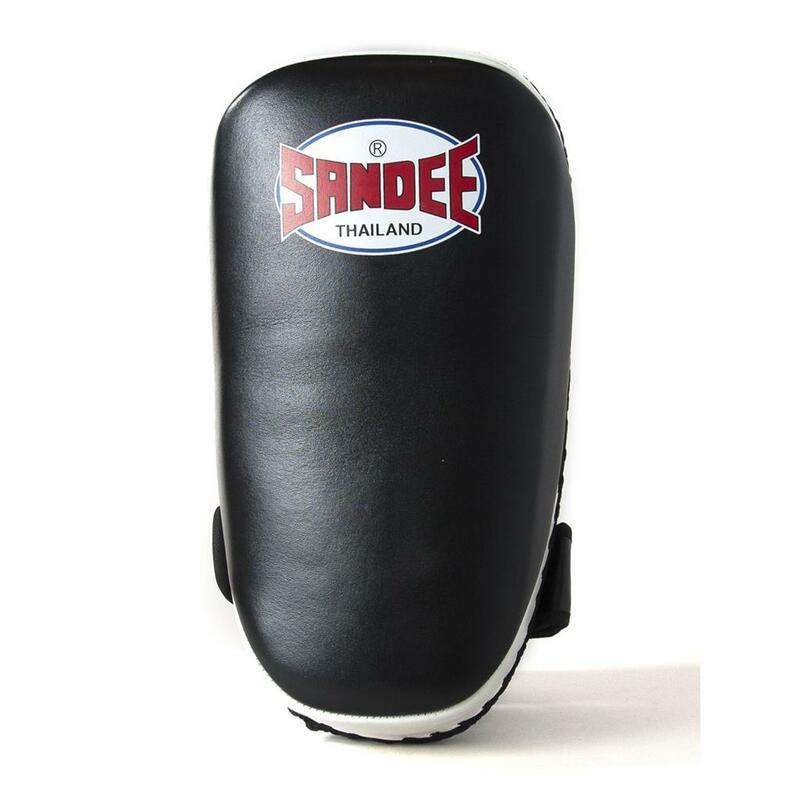 100% hand-crafted in Thailand.